We stayed at the Lake House in the town of Ambleside. This bed and breakfast was wonderful, excellent customer service, and filling breakfast for a reasonable price. Our room was the 2nd floor window on the right side of this picture. It was a large room with a modern bathroom, and a beautiful view of Lake Windermere. We enjoyed the wildlife in the area, we saw a variety of birds flying around. 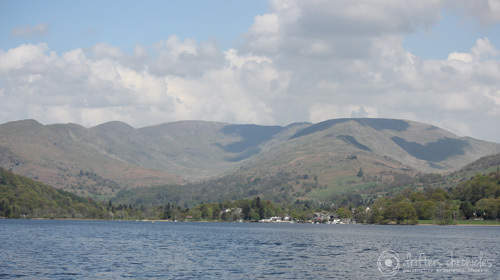 We took a boat on Lake Windermere down to Bowness-on-Windermere. The Captain of the boat was very knowledgeable, and shared stories as we passed areas and houses on the trip. 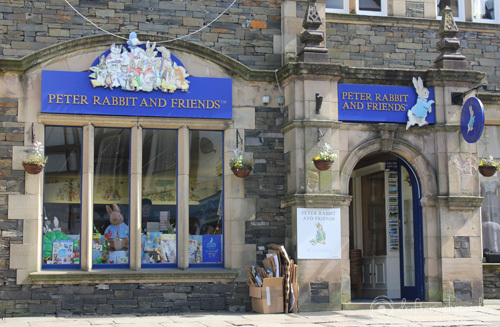 We only went for a few hours, we ate lunch in Bowness-on-Windermere, and stopped in the Peter Rabbit Bookstore. The Cumbria area has a significant history, it was the home of Beatrix Potter, Author of Peter Rabbit. I’m sure many of you can remember reading these stories as young children. 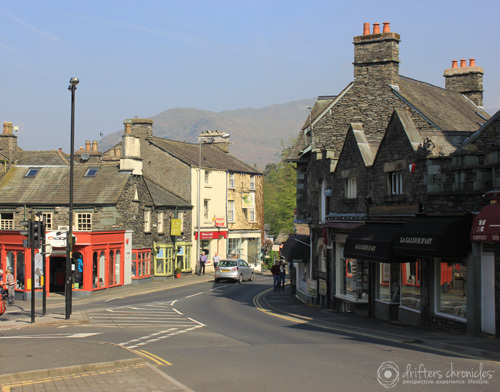 The town of Ambleside was a short walk from our Bed & Breakfast, about a 10 minute walk to town. There were a number of pubs/restaurants to enjoy a bite to eat. 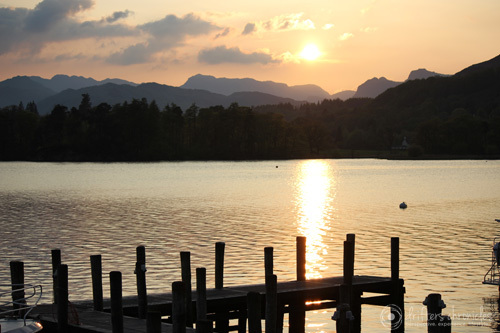 I think my favourite part of being in Ambleside was the sunsets. The colour of the sky, the shadows of the rolling hills in the distance. I enjoy the simple things in life, and taking in natural scenery is a truly calming experience. I mean, really, I think you can appreciate the beauty too. 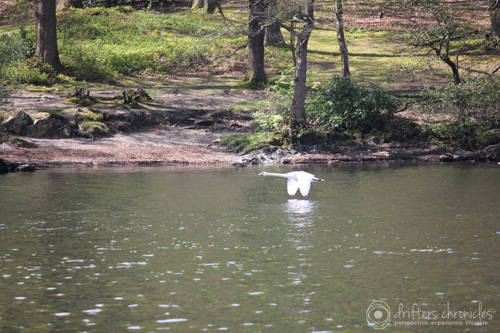 This entry was posted in England, Europe, Experience, Hers, Perspective and tagged England, Lake District, Travel. Bookmark the permalink.